A woman suspecting her son of homosexual activity broke down in tears after she caught him and his partner in their underwears kissing inside his room. The mother who has been suspicious of her son was said to have installed a secret camera in his room to justify her suspicions. 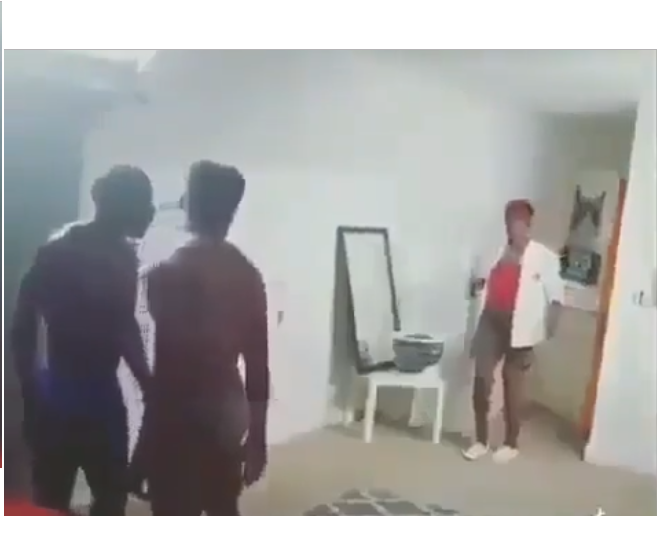 In a viral video, the shirtless pair can be seen locking lips before the lady walked into them in his son's room. Disappointed at her son, the helpless mother fell to her kneels as she broke down in tears. The video ended with the heartbroken mother crawling out of the room, with her son going after her as he hid his face in shame.